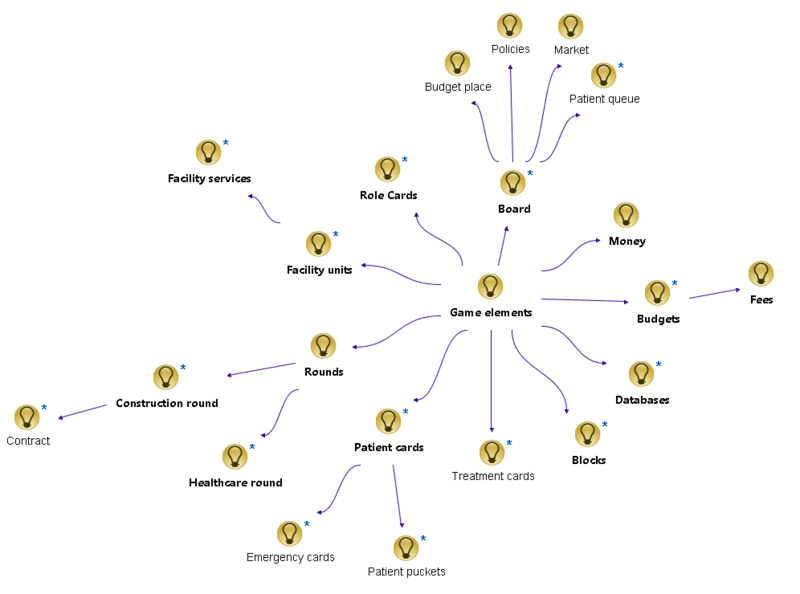 History | A board game about conflicts of interests in healthcare design. 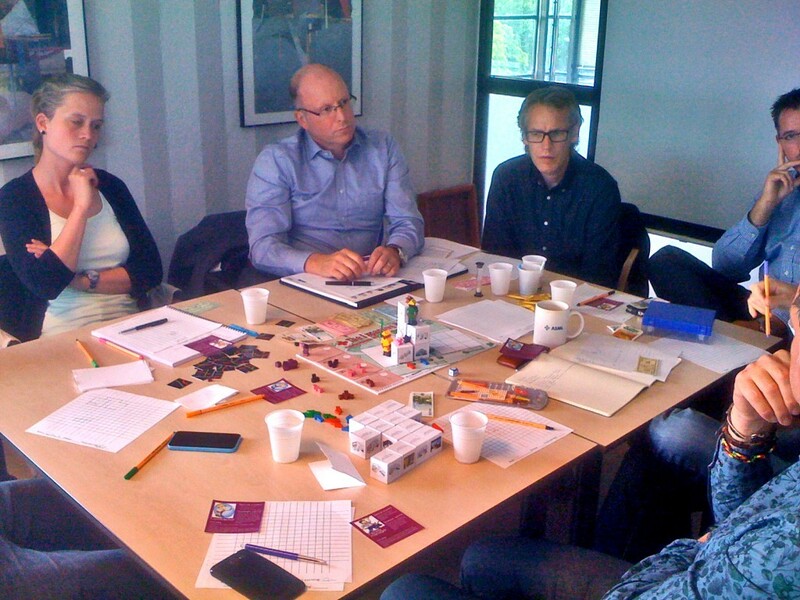 The idea of creating a board game came after researching three healthcare construction projects in the Twente region, Netherlands. We spoke to professionals and realized that healthcare projects take too much time because of the conflicts of interests between the parties. The engineering wants something, whereas the architect wants something else. The negotiation as it happens in real life already ressembles a game. 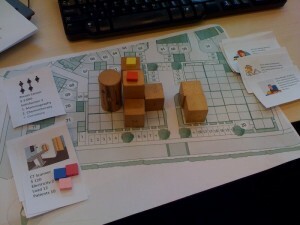 The board game was designed to communicate the research findings and to provide learning opportunities for design students. “Learning while having fun” was the motto for this serious game. The game design started by mapping out the elements of the construction projects that could be turn into game components. This was done using a mind mapping tool. Then, many sketches followed. They tried to put all these componentes together in a whole, highlighting the basic mechanics of the game. Six player roles have been defined, with different game mechanics. These mechanics were borrowed from board game used as references. An early prototype of the game was made using ready available materials, such as wooden blocks and paper. This prototype allowed to feel the possibilities of interacting with the pieces, how they can be combined together, how the game looks like. This protoype was not playable yet. It was made only to feel the gameplay possibilities. 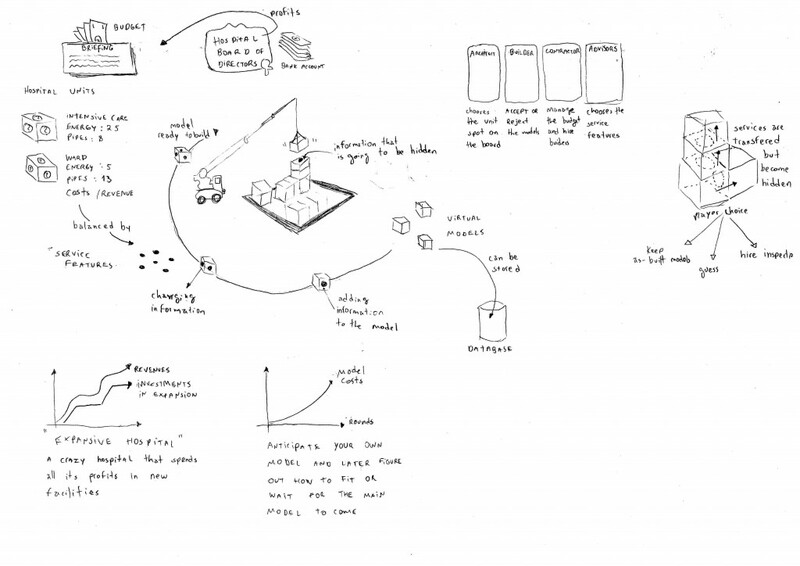 After defining the components of the game and the rules that apply to them, a playable prototype was produced, borrowing components from other games. The first playtesting session showed that balance was the biggest design challenge, since every player had a different way of earning money, but still should have the same chance to win the game. An excel spreadsheet was composed to calculate the costs and benefits for every player. 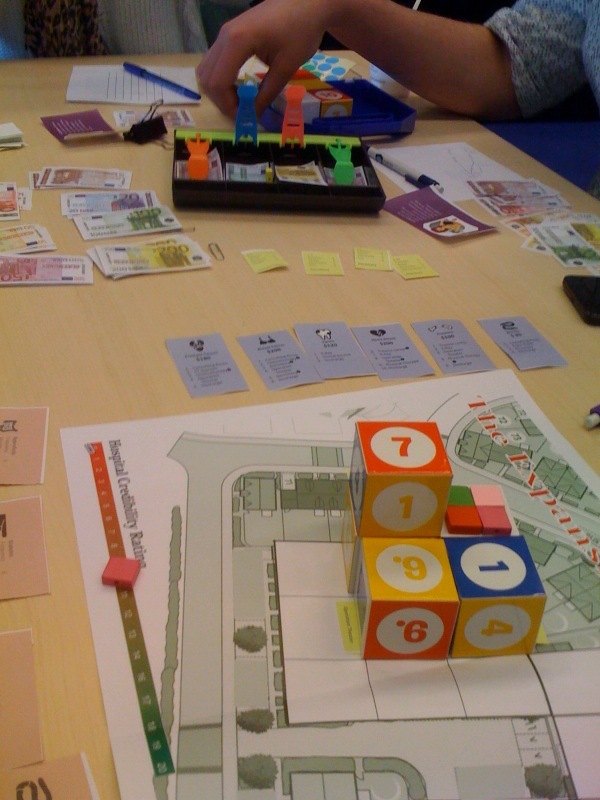 The game was playtested with Civil Engineering students many times up to the point that the designer realized it could be also marketed for a broad audience. 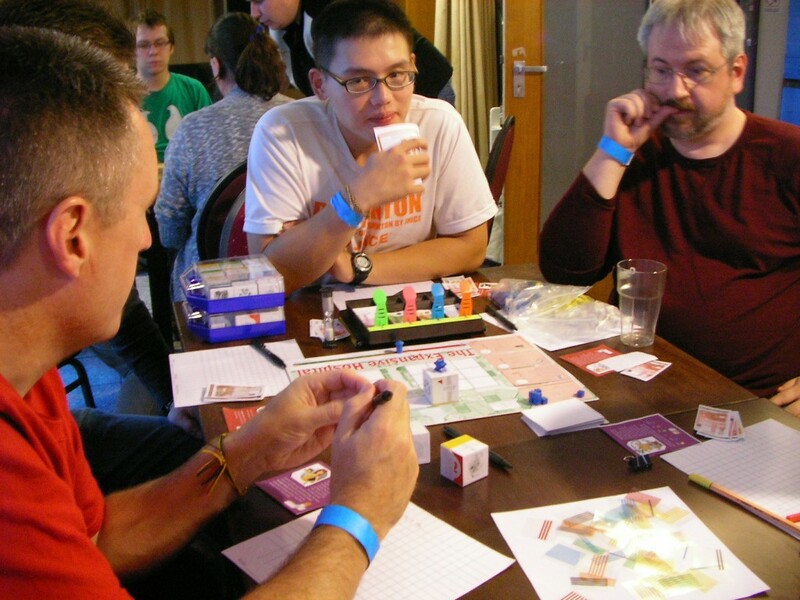 The game was brought to Essen Spiel 2013, where gamers could evaluate it. They acknowledged the innovativeness of the gameplay, but pointed to the complexity as a major difficulty in marketing the game. After all, not everybody is an engineer! The game underwent a series of playtesting and adjustment cycles until it was played by actual construction professionals, who evaluated the game’s realism. They were not used to play complex board games, but still manage to play this one and they liked it. The veredict is that the game emulate in a fun way the conflicts of the practice. The game is now commercialized by Contecth.